Sending out your resume and begging someone to hire you is a bit like entering the Miss Singapore competition. Get ready to get ripped to shreds. To minimise the damage and coax potential employers to give your resume a more-than-2-second glance, here are some tips to instantly make the most mediocre of resumes look a little more impressive. Whether you're a rocket scientist or need your smartphone calculator to answer the question 2+4=?, employers and recruiters love numbers, so give them as many as you can. For instance, let's say you worked as a digital marketer to boost the social media presence of some company. You want to add figures on how many followers their social media accounts acquired while you were in charge, the percentage by which their engagement went up, even how many posts you made per week. Are you some kind of teacher or trainer? Then add figures on the size of your classes, the satisfaction level of your students based on end-of-year surveys, the success rate of your students and so on. Some resumes are just long, rambling descriptions of everything the candidate has ever done at work. But you need to tell potential employers not just what you have done, but the skills you've acquired along the way. In fact, some recruiters or HR personnel simply control+F resumes, type in the keywords for the skills they're looking for, and then trash the resume if it's found lacking. So don't forget to think about what a recruiter could possibly be control+Fing for and include all those skills. For example, as a marketing person, you should have keywords like "SEO", "Google Analytics", "copywriting" and "Facebook" on your resume. The only information you want on your resume is info that will make people want to hire you. Everything else should be removed. So resist the urge to provide lengthy descriptions of every single thing you did at a particular job. Edit the resume based on what recruiters in each post are looking for. That means getting rid of your date-of-birth, photo (unless required) and gratuitous information about past jobs (your description of your part-time job as an ice-cream scooper should not be 15 lines long) that isn't relevant to the post you're applying for. 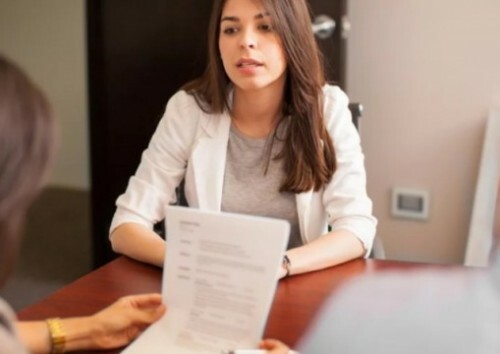 It seems like a no brainer, but many job candidates still insist on putting their first job at the top of their resume. You'll be judged most based on your last position, and if you put it right at the end of the "experience" section on your resume, recruiters are going to think you're trying to hide the fact that you're now washed up behind prestigious earlier jobs. And yes, we know you're proud of your excellent grades, but unless you're a fresh grad, your education should come after your employment history, not before. Your resume is not a standard-form template that you blindly fill in. It should be thought of rather as a brochure you use to market your personal brand. So while there is no one "correct" way to structure your resume, an effective method is to organise it to give potential employers a clear sense of your career trajectory, and where you hope to be in future. This is particularly pertinent for those who've had less-than-straightforward career paths or who have changed careers or industries. No matter how messy your career has been, you want to find a common thread that runs throughout all your jobs, all of which have contributed to making you the supremely hirable person you are today. You can do this by highlighting the relevant skills you've acquired at each job, and changing the tone of your resume from factual to narrative. Writing a resume these days is a lot like copywriting. So don't be afraid to be creative or deviate from the usual Microsoft Word template. Just make sure you get your resume spell-checked when you're done jazzing it up.